Last month, fabled game maker Atari—or more specifically, the re-animated corpse of Atari that’s been sustaining itself on licensing deals since filing for bankruptcy in 2013 and being revived by French businessman Frédéric Chesnais—started teasing its return to the console business with a device called the Ataribox. Today, the company revealed the look of this new hardware and provided a few more details about what it actually is. With its ribbed lines and raised back, the Ataribox’s design is pretty clearly inspired by old Atari consoles. Hearkening back to the Atari 2600’s most iconic feature, it’ll even be available in a model that includes wood paneling on the front. The company is marketing the Ataribox as being capable of playing classic games, presumably through a built-in selection of old-school Atari titles, as well as “current gaming content.” Unlike Nintendo’s hugely successful NES Classic Edition, this machine includes an SD-card reader, which suggests owners will be able to load up games of their own and possibly buy more from some sort of online marketplace. 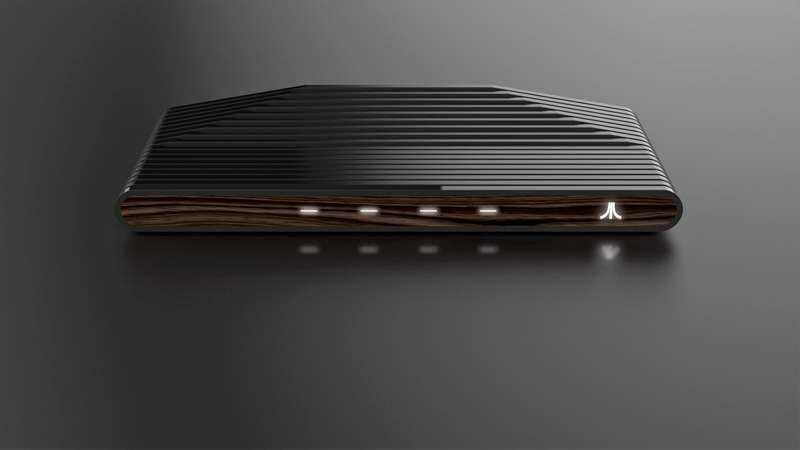 Atari has not revealed any details about what’s under the console’s attractive hood and promises news about technical specifications and pricing will be meted out in the coming months. In an interview with VentureBeat, the company’s CEO mentioned the console is based on modern PC technology, and the merit of its most intriguing feature—the ability to play modern games in addition to primitive Atari classics—will come down to what exact PC technology the Ataribox is packing. Chances are you won’t be playing the latest Call Of Duty on this thing, but you might be able to load up some Android games when you’re all fed up with Missile Command.